EA: Nintendo's 3DS is "Magical"
Do you believe in magic? Those that have played the Nintendo 3DS do. I'm starting to get the idea that the Nintendo 3DS is either a revolutionary device, or it's inputting subliminal messages into everybody's minds and Nintendo will be using it to take over the world. EA's chief operating officer John Schappert recently told Industry Gamers that after seeing the 3DS at E3 he thought it was so incredible that it must have been conjured up by a wizard. Specifically, he said: "The 3DS is magical. You put that in your hand, you look down, and all of a sudden it's in 3D without glasses. That's an amazing experience. I'm a huge fan." 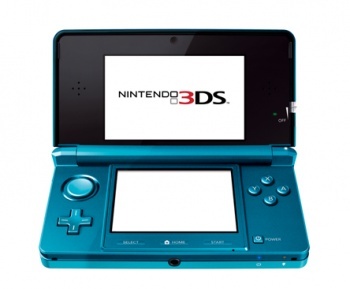 Schappert believes it will sell like "hot cakes" and the 3DS has "re-energized the industry." He might be talking up the device because, as he also pointed out, EA has FIFA, Madden, and Sims games in development for the 3DS. He admitted, slightly crazily: "The thing I like about being a third party publisher is... I've got bets on all these things. I want them all to be successful; they're all my children and I love them all." It's great that the man loves his job, but am I the only one a little scared by that last statement? Even Nintendo has admitted that marketing the 3DS is tricky, but when people are calling it "magical," others are saying it changed their lives, and television show hosts are freaking out, it's hard to not get excited. If the 3DS ends up being cool enough, I probably wouldn't even mind being forced to believe Reggie Fils-Aime is my lord.